PSU's fan is pretty much dead (and pretty noisy), any help or replacements? 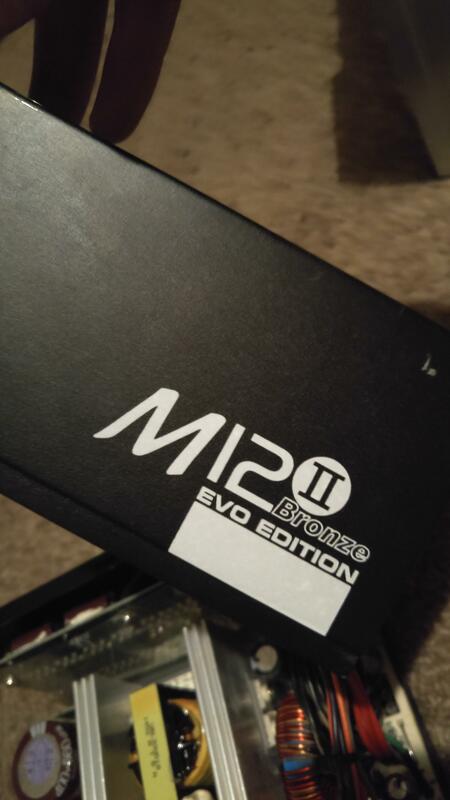 THis problem is relating to a SeaSonic Bronze M12, for those that are curious. So lately my PSU's fan has been making weird noises. Ever since the start of this week it was anything from a small grindy noise to full-on screeching. After a few days of reading up, I was able to determine that something's wrong with it, most likely that it's just dead, though I can't be sure why exactly (It's not like I full-throttle the thing 24/7), but that's beside the point. It's noisy, and while it hasn't broken any components or overheated the PSU, I'm still too scared to actually do anything in case it does do that, so I was curious - are there any ways to replace the fan or have a professional do it? Would it be better just to buy a new PSU (the kicker is I haven't had this PSU for more than 5 or 6 months)? This is what the warranty is for. They will probably give you a new one, for free. If you, or anyone else, take it apart to try to change the fan, your warranty is gone. Ah. I just scrolled past those horribly large pics. I'm not sure how I would determine the fan's size, but would somebody be able to replace it, or would it have a specific brand problem? Like I said I'm the OK it's a seasonic bronze if that helps at all. Also I'm doing all of this from my phone so every thing isn't perfect like image size as you can tell. Get the ruler, and measure between screw holes. When I had to do this fix, the fan in my PSU was simply a common computer case ventilation fan. In my case it was the 80mm size. I just bought an 80mm 3-pin fan (NOT 4-pin or PWM) and spliced the appropriate wires inside the PSU, then used the screws to fasten it. As you can see on your old fan's label, it is for use with a power supply of 12 VDC, same as any case fan. 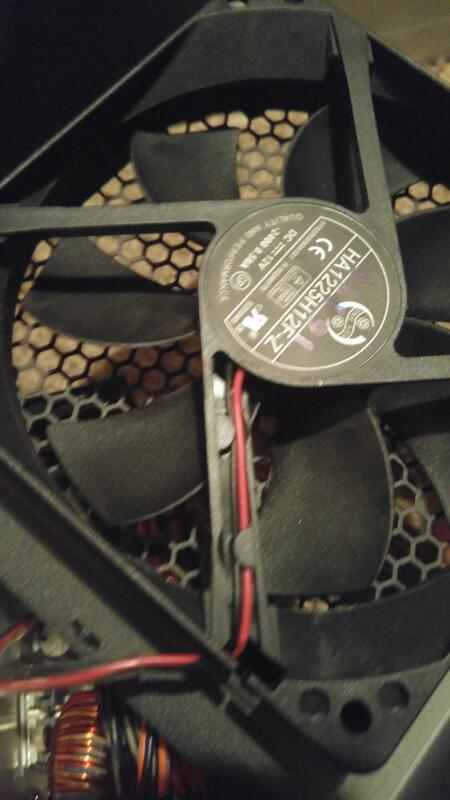 You will note that your old fan has 2 wires, Red and Black. It is VERY likely that they used the same color coding that a new fan has. So you just connect fan Red to old fan's Red, Black to Black. For the Yellow wire on the new fan, just snip it short, tape its end and wrap it out of the way. It does NOT connect to anything. Just to be sure about directions, observe the old fan's turning direction, and the direction it is mounted in the PSU. Make sure the new fan does the same, and turns that way when wired and powered on. 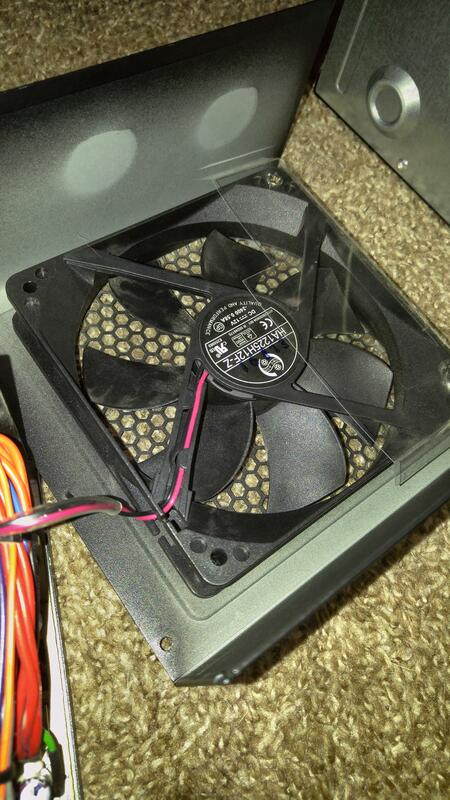 To help, examine the fan case. It should have two arrows on it. One shows the direction of fan rotation when it is wired correctly. The other shows the direction of air flow when the fan runs. Your old fan may also have such arrows. 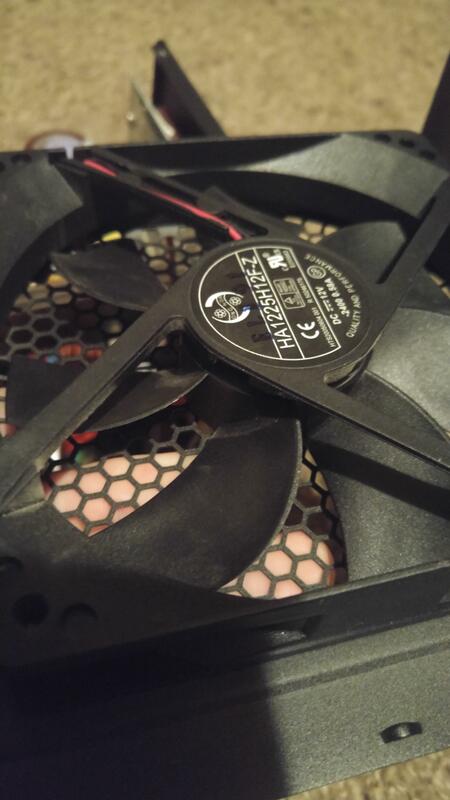 "120mm Ball Bearing Cooling Fan"
I have replaced fans in psu's before it wasn't that hard. video on using a regular noctua fan and adapting it for a psu. the connector was different..
My main comment was: the thing is still under warranty. Yes, I returned it weeks ago. Thanks for the help. Cool. I am glad there is light at the end of the tunnel.let us know if you have any other issues by starting another thread. Cool. I am glad there is light at the end of the tunnel.let us know if you have any other issues by starting another thread.dont forget to close the thread.